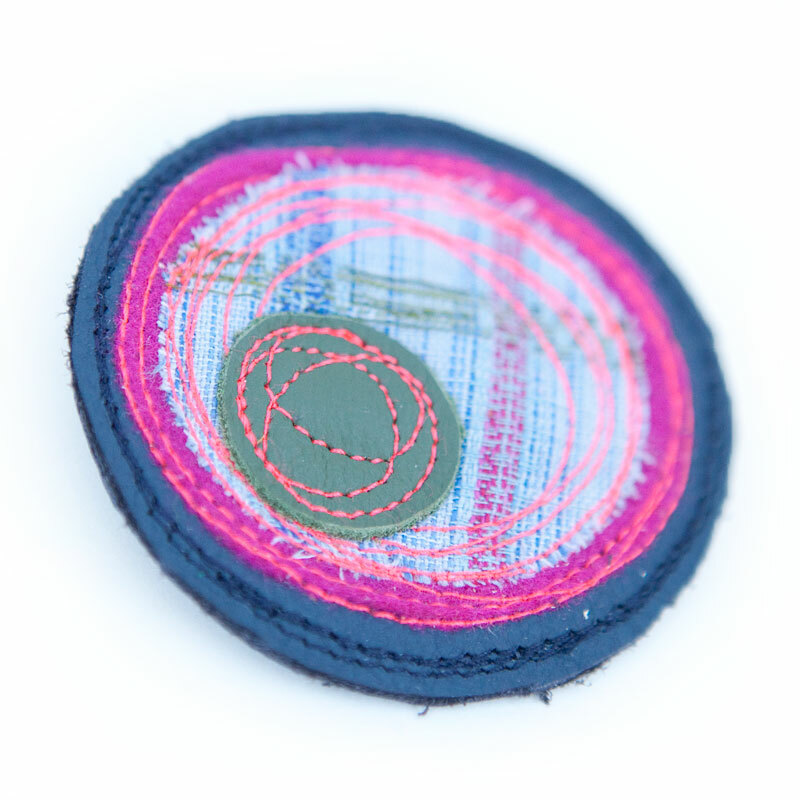 Mainichi has created this Mushi Brooch from dark blue and khaki leather off cuts, pink felt and pale blue checked fabric. 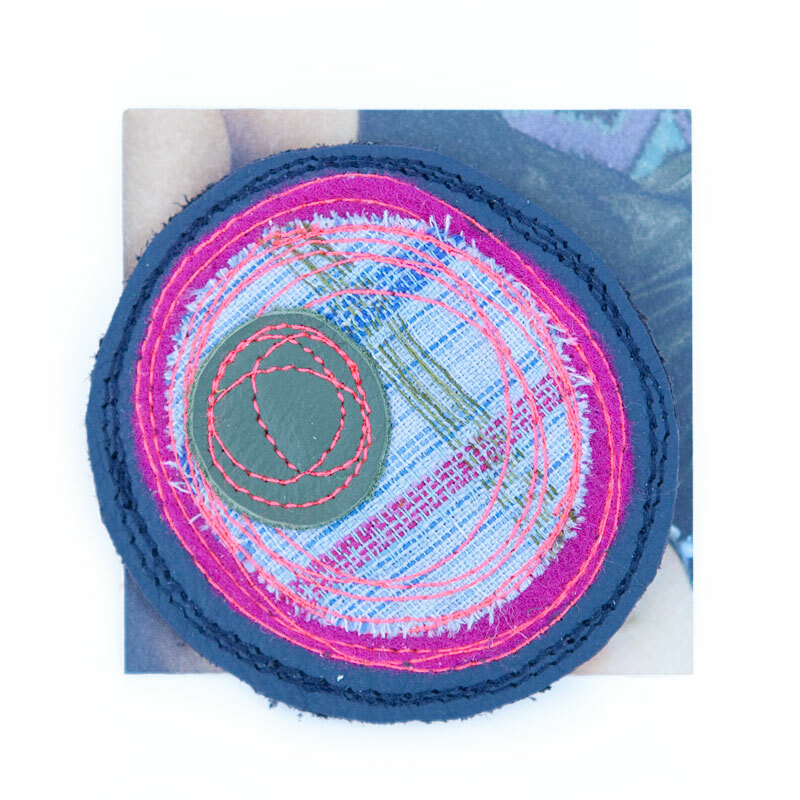 The layers have been cut into circular shapes and stitched together using bright pink thread. It is really one-of-a-kind, and shows off Mainichi's inspired approach to using colour & texture. The last photo shows more Mushi brooches being modelled. A silver coloured metal brooch bar pin is securely fixed into the back of the brooch. Mainichi pieces have been handmade by Melbourne-based designer Dearne Herrenberg. The materials used often inform the design and also reflect the philosophy behind the name (Mainichi translates from Japanese as "everyday").